Why can't all the robots just get along? Another year, another Armored Core game. Armored Core: Verdict Day is out now for the 360 and the PS3 and brings with it all the gratuitous robot warfare one could ask for. From Software has cranked out their mecha warfare simulation/action games for the past 15 years and they aren't going to stop now. They've even attempted to tickle your fancy for co-op robot mayhem with a slick launch trailer. Nothing gets me more pumped up than sweeping orchestral music and a bunch of mechs blowing up everything in the world. It's not all sweeping choral arrangements and explosions over here. At least they were considerate enough to display some gameplay and HUD stuff. It certainly resembles the fast paced robot combat that you'd expect from an Armored Core. ACs can be modded with legs, wings, or even tank treads for high speed fights, and can field a variety of long and close range weapons of various types. The HUD appears as though you are in the cockpit despite the game being in third person, which I think is kind of cool. All the ACs still look like they're skating around as if they were wearing gigantic rollerblades though, which I guess is kind of an Armored Core classic. 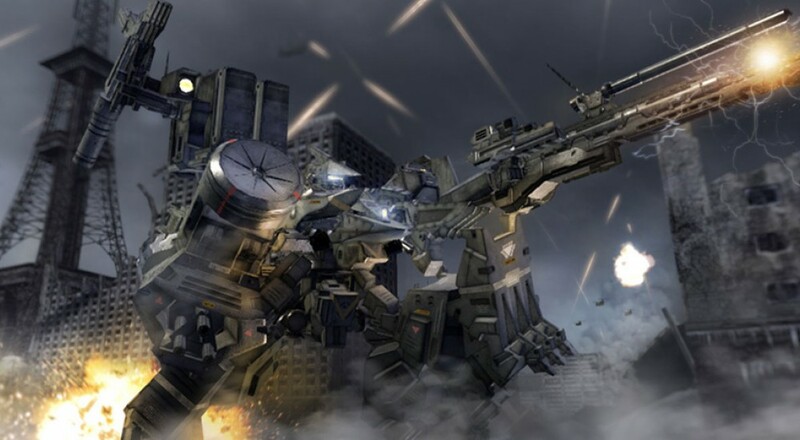 Armored Core: Verdict Day features a two player online co-op campaign with over 90 missions in a persistent world. Grab a buddy, pick a faction, and cast your fledgling mech into the a sea of skating robots. Page created in 1.5434 seconds.